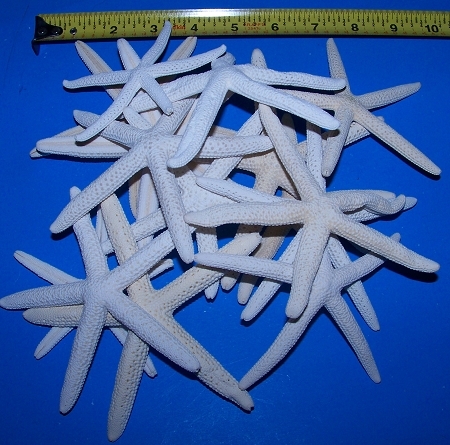 6" + to 7" + White Finger (Pencil) Starfish - Sea Star Bleached (White) Free Shipping! 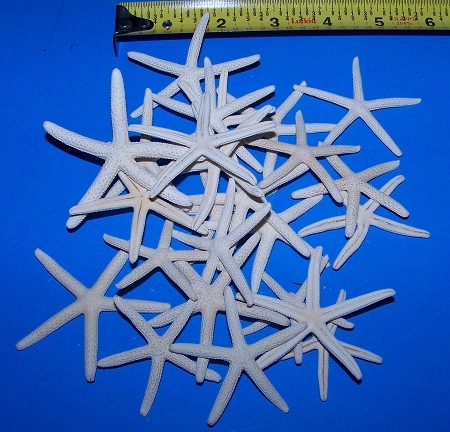 This white finger pencil starfish species is Sold individually and in Bulk lots. These Bulk bags are unsorted, Please allow White Tints to vary and leg position and lengths to vary due to not being man made. In some lots you may also get some larger ones for the cost of the smaller ones. 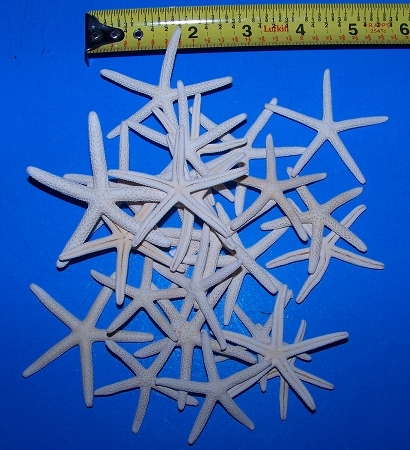 Sizes of starfish are estimated only and not exact. Please allow for natural blemishes and imperfections from being not man made. These are a real dried sea life items and not man made. Sizes are in a rough range & Some could be slightly smaller or larger. Each bag is unique. These starfish are the most popular with our Crafters, Wedding planners and Collectors. Starfish are Great to use in Crafts, Wedding, Decorations, Christmas crafts and more! We offer Free standard shipping on these lots! Sorry we do not do special size requests due to not man made. Please note that the photo's listed here in the ad is only the species starfish we are offering. 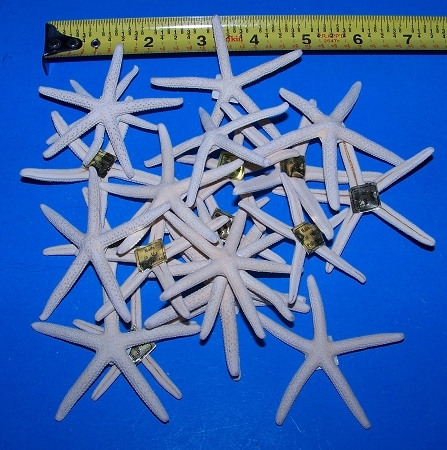 Be very aware the sizes shown are 2" to 7" and for example of species starfish only! Beautiful!! Highly recommend this seller!!! Exactly what I paid for! Thank you so much! I just received my order today and the starfish are exactly what I wanted. These are perfect for my project. Packed well, no damages. Everything in my order arrived in perfect shape, thanks so much! !